The median home value in Kissimmee, FL is $222,000 This is higher than the county median home value of $166,000. The national median home value is $185,800. The average price of homes sold in , is $. Approximately 34.77% of Kissimmee homes are owned, compared to 44.34% rented, while 20.89% are vacant. Kissimmee real estate listings include condos, townhomes, and single family homes for sale. . Commercial properties are also available. If you see a property Kissimmee real estate agent to arrange a tour today ! Pre-Construction. To be built. Cypress Ridge isnât just a place to come home to at the end of the day - Itâs a place to live better. We offer a comfortable neighborhood environment with all the benefits of owning a home. The Ash leads back into the Kitchen and the Great Room. The Patio adds so much to the townhome by bringing the outdoors in. Upstairs, you have three generous Bedrooms, 2 bathrooms, and a walk-in closet in your owners suite. The Ash offers it all! All floorplans feature a 2nd floor Laundry with either stacking or side-by-side washer and dryer. COME TOUR OUR TOWNHOME AND MAKE IT YOURS! Ash and Aspen are beautiful and elegant floor plans, positioned perfectly in the community so you can take advantage of all this townhome community has to offer. Never mow your lawn again with a convenient and affordable HOA, enjoy the Florida outdoors on your walking trail, or get your body moving by taking a lap in the pool. Enjoy plush features such as 42 inch Timberlake cabinets, brick paved driveways and more. All Ryan Homes now include WI-FI enabled garage door openers and smart thermostats. DISCLAIMER: Prices, financing, promotion, and offers subject to change without notice. Must use NVR Mortgage to receive promotion. Offer valid on new sales only. Cannot be combined with any other offer. See a Sales & Marketing Representative for details. All uploaded photos are stock photos of this floor plan. Home will look similar to photos. ABSOLUTELY AMAZING BEST DESCRIBES THIS 4 BEDS 2 BATH 2 CAR GARAGE. PRIDE OF OWNERSHIP IS VISIBLE IN THIS WELL MAINTAINED AND CARED PROPERTY. THIS BEAUTIFUL HOUSE IS ALSO HIGHLIGHTED BECAUSE HAS NEW ROOF 2016, NEW INSULATION, A/C 2013, COMPLETELY FENCED W/ PVC FENCE, WINDOWS HURRICANE APPROVED DOUBLE PANEL LOW E., 10X8 SHED STORAGE BUILT ON CONCRETE SLAB FOR DURABILITY. INSIDE YOU'LL FIND SPOTLESS PORCELAIN TILE FLOORS THROUGHOUT ALL HOUSE, AND TONS OF NATURAL LIGHT. BATHROOMS UPDATED. KITCHEN GOURMET ....!CATCH A GLIMPSE OF THE CALMING VIEW, OR SIMPLY SEEING YOUR TREE OF MANGO. ENJOY THE SUNSET FROM THE LIVING ROOM WHILE YOU WATCH TV , FROM THE DINNING ROOM WHILE YOU EAT DINNER, FROM YOUR BEAUTIFUL PORCH WHERE YOU CAN RELAX MAKING THE GRILL. HOWEVER, WITHIN THIS OASIS, YOU, ARE CLOSE TO EVERYTHING. JUST MINUTES FROM MAJOR ROADS AND HIGHWAYS, SHOPPING, RESTAURANTS, AND JUST SHORT DRIVE FROM ALL THE MAJOR ORLANDO ATTRACTIONS AND WORLD FAMOUS THEME PARKS!. Community Features include Pool, Playground, Tennis Courts, Racquetball Courts AND MORE. LET YOUR IMAGINATION TURN IN TO ANYTHING YOU WANT. call today to schedule your walk-thru tour, This beautiful home wonât last long, so call today for a private showing! Pre-Construction. To be built. Creekside offers beautiful homesites featuring wooded and creek views only 4 miles from Lake Nona. Imagine coming home on Friday from a long work week knowing you donât have to go anywhere for your recreation. The offspring can play in the community pool and you can relax reading a book. The resort-style amenities means you get to relax. NO CDD! Welcome to the Santa Rosa. As soon as you enter the foyer you'll feel at home. A powder room is conveniently placed for guests. The kitchen is a cook's paradise and is open to the dinette and great room. You can extend the kitchen into a morning room and add a lanai to bring the outdoors in! A truly spectacular owner's suite featuring a double bowl vanity, compartmentalized water closet, and grand closet so storage will never be an issue! A loft off the stairs gives the feeling of a second floor living area, and two more bedrooms provide plenty of space. A second floor laundry is the ultimate in convenience. The Santa Rosa is available in several beautiful facades that make it a place you'll love to come home to! All Ryan Homes now include WI-FI enabled garage door openers and smart thermostats. DISCLAIMER: Prices, financing, promotion, and offers subject to change without notice. Must use NVR Mortgage to receive promotion. Offer valid on new sales only. Cannot be combined with any other offer. See a Sales & Marketing Representative for details. All uploaded photos are stock photos of this floor plan. Home will look similar to photos. Pre-Construction. To be built. Creekside offers beautiful homesites featuring wooded and creek views only 4 miles from Lake Nona. Imagine coming home on Friday from a long work week knowing you donât have to go anywhere for your recreation. The offspring can play in the community pool and you can relax reading a book. Resort-style amenities means you get to relax. Someone else will clean the pool too, all of this with NO CDD! This Biscayne Bay home features 4 bedrooms, 2.5 baths, a large upstairs loft, roomy lanai, and a downstairs master bedroom! The kitchen is open to the family room complete with granite counter tops and 42â cabinets. Enjoy your included GE appliance package (Microwave, dishwasher and smooth top range) and huge Kitchen Island. A large owner's suite allows for plenty of comfort. Luxurious features such as an elegant walk-in shower, dual sinks, two walk in closets, and gorgeous vanities make this house a home. Other included features are 18 x 18 ceramic tile in all of the wet areas, Silestone quartz bathroom counter tops, and much more! For the homeowner who wants it all- this one is for you! All Ryan Homes now include WI-FI enabled garage door openers and smart thermostats. DISCLAIMER: Prices, financing, promotion, and offers subject to change without notice. Must use NVR Mortgage to receive promotion. Offer valid on new sales only. Cannot be combined with any other offer. See a Sales & Marketing Representative for details. All uploaded photos are stock photos of this floor plan. Home will look similar to photos. Beautiful 4 bedroom, 3 bath home nestled in the new master planned community of Kindred! Situated on an oversized lot without rear neighbors allows you to enjoy the wood view from your covered lanai. A 3 car garage means so car shuffle to get out of the driveway. Step inside to your neutral painted walls, natural lighting streaming through the energy efficient windows and large tile flooring that can be throughout the home. The spacious foyer provides the perfect drop space for keys, shoes, and bags. The open floor plan allows for entertaining guests or large gatherings without missing any of the action. A large dining and living room provides the ultimate gathering space with an ample area for a large sectional and formal dining table. The modern finished kitchen will not disappoint with espresso wood cabinets, stainless steel appliances, granite counters, expansive island with a breakfast bar to seat four comfortably. The breakfast nook offers additional seating or enjoying a morning cup of coffee while reading the Sunday paper. The master suite offers luxury with a coffered ceiling, walk-in closet, his and her vanities, soaking tub, and separate shower stall. Families will love the jack and jill bathroom shared with 2 large bedrooms. A 4th bedroom makes the ideal guest room with a full size bath and access to the outdoor lanai. The community amenities are endless including a dog park, pool, fitness center, tot lot, walking trails, and more! Schedule your private viewing of this home today! This Kissimmee one-story offers a covered porch and a two-car garage. Upgraded features include fresh exterior paint and new laminate and carpet in select rooms. Home comes with a 30-day buyback guarantee. Terms and conditions apply. Pre-Construction. To be built. Creekside is an intimate gated community located 4 miles from Lake Nona amenities. Resort-style amenities & NO CDD, it's the perfect place to call home! The Doral is an elegant 2 story, 3 bedroom, 2 and a half bath home with included loft. Walk through the foyer and enter the first floor of the home. There you will find an open setup complete with great room, kitchen with granite island, and separate dining area. Right behind the common area are the sliding doors to an outdoor patio, keeping the downstairs area nice and airy. There is also a powder room located downstairs for ultimate convenience. Leaving all the bedrooms on the second floor helps keep private areas private. Upstairs you will find 3 bedrooms and loft, so everyone has room to hang out on the second story as well. Laundry room upstairs so no one has to run up and down to get a load done. The luxury continues in the spacious owners suite that leads into a double sink restroom and large walk in closet. The Doral has plenty of options to really make this home yours-so come and see it today! All Ryan Homes now include WI-FI enabled garage door openers and smart thermostats. DISCLAIMER: Prices, financing, promotion, and offers subject to change without notice. Must use NVR Mortgage to receive promotion. Offer valid on new sales only. Cannot be combined with any other offer. See a Sales & Marketing Representative for details. All uploaded photos are stock photos of this floor plan. Home will look similar to photos. This is simply the best location in Kissimmee! Minutes away from everything! Spacious four bedrooms and three baths. Two car garage and block construction. Ceramic tile floor throughout. Living room and dining room combination. Kitchen features closet pantry and laundry area located in garage. Near to local transportation, schools, shopping and dining all located in the community. BVL community is minutes to Walt Disney World using Osceola Parkway! Close to downtown Kissimmee with the new and improved Kissimmee Lakefront Park, multiple shops, dining options and the new home of Sunrail Transportation. This station will be the main hub of public transportation within Kissimmee and Osceola County, serving customers of Sunrail, LYNX, Greyhound and Amtrak. Minutes to Florida Turnpike making easy access to Sea World, Universal Studios, Downtown Orlando, The Orlando International Airport and the New Medical City in Lake Nona. It is strongly encouraged that an offer includes POF US Currency if cash and pre-approval if financing and is a requirement for seller's final acceptance. Buyerâs agent is responsible to obtain current HOA fees, docs, covenants and declarations. Submit Article of Incorporation when submitting offer for Corporation. Please look in attachments for additional information! New roof February 2019. All three AC units and hot water heater have been replaced within the last four years. Fenced in backyard. Completely renovated home. Master downstairs. Four bedrooms, two and a half bathrooms, office/den, loft, two living areas, laundry room, dining room and breakfast nook in main house. One bedroom/one bathroom garage apartment. Income opportunity of $1,200/month. Covered patio with fans outside. Three car garage. Pine wood floors and slate downstairs. Laminate flooring on steps and upstairs. No carpet. Community offers numbers pools, tennis courts, basketball courts, fields, playgrounds, work out facility, resident only events, restaurants, schools, etc. Great opportunity to own this gorgeous, remodeled, 4 bedrooms, 2 baths home! As you enter the front door you walk into a welcoming open concept layout with ceramic tiles throughout. A great room offering plenty of space for your formal living and dinning rooms furniture. Home also boasts a separate family room, split bedrooms for additional privacy, interior laundry space, fresh interior and exterior paint. The spacious kitchen features closet pantry, granite countertops, breakfast bar which overlooks family room that has sliding doors leading onto a large tiled covered screened lanai and fenced wrap-around backyard with a shed. Master suite offers sliding glass doors to access the lanai; dual closets including a walk-in. The stunning master bathroom includes double ceramic sink bowls sitting on granite counter tops, and a huge, double walk-in shower. Water filtration system is not included but can be negotiated. Home is conveniently located near schools, shopping centers, restaurants, Poinciana Medical Center, new Sunrail Station, Aquatic Center with a gym and olympic pool, Poinciana Parkway connector to I-4 for easy access to the Theme Parks, attractions and much more!! Low HOA fees and taxes. Definitely a MUST SEE...Don't let this opportunity pass by! Excellent corner lot in a very well maintained community. Perfect for primary residence or investment. House has a lot of potential for improvements. 2 bedrooms 1 bathroom. All tile throughout. Kitchen features breakfast bar and pantry. The living/dinning area has two large sliding glass windows that open to a spacious enclosed back patio. Screened front porch with tile floor. A/C 2015 / water heater 2013 / roof 2016. Located at walking distance to shopping area and transportation. Property is tenant occupied and will require 12 hrs. notice to show. All measurements, room sizes and HOA info are approximate and not guaranteed, any information contained herein critical to buyers decision to purchase must be verified by buyers. Location , location, community is zoned for short term rentals. The unit is right across of the clubhouse which features fitness room and community pool with heated spa . Freshly painted with neutral color ,new modern title ,new vertical and mini blinds , new doors and knobs in all bedrooms and closets , bathrooms have been updated with new tolites , pedestal sinks, light fixtures and mirrors.Ceining fans in all rooms .Rear view to Tennis courtsEasy access to schools, shopping ,Restaurants, main roads , highways and Orlando attractions. 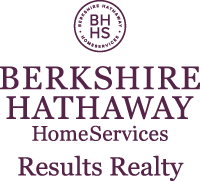 Transferrable home warranty available.If measurements and HOA fees are a concern Buyer/buyer's agent should have information independently verified. You are gonna LOVE this: NEW a/c, NEW granite counters in kitchen, NEW high end kitchen cabinets with soft close drawers. NEW kitchen range, NEW microwave, NEW granite counters in bathrooms, NEW high end cabinets in bathrooms, recently tiled master shower NEW beautiful laminate floors throughout! NEW paint throughout NEW living room furniture from Ashley and we kept the care tags on them. NEW living room area carpet. NEW designer vertical blinds Great view of pond from Master bedroom, Cable hook up in all bedrooms and living room. smoke detectors emergency lights A great condo for your second home to escape the cold winters, as an investment to rent short term vacation or your own home that is waiting for you. Convenient to almost everything: just a few miles from the new Sunrail that will take you into Orlando and Winter Park. Attractions are just 15 minutes away. This is a really beautful condo ..... Be prepared to fall in love. This is a fabulous townhouse in community with a beautiful clubhouse and pool! Ideal for vacation home, second home, full-time residence, or investment property. This beautiful 3 bedroom, 3 full bath town home with scenic pond view and can enjoy that morning cup of coffee, overlooking the pond in the screened Lanai! Open, light and bright end unit offers a large kitchen with 42' cabinets, and a large wall to wall pantry. Living Room/dining room leads to covered and screened lanai which not only overlooks the pond but has room for storage and a table and chairs. This town home has an indoor laundry closet and full bath downstairs. A large Master bedroom with a master bath and two closets in the master. There are two more bedrooms that share a hall full bath upstairs. The community Clubhouse includes gorgeous pool, spa, sand volleyball, playground, movie theater, fitness center, game room with billiards and a business center. Community is only minutes away from restaurant, shops, main Orlando attractions and the new Sunrail Poinciana station. There is currently a tenant within this property. The floor plan of this home is amazing! The foyer leads into the living room with separate dining room, ideal for gatherings with family and friends. The master suite is located away from the other bedrooms and features a stand up shower, dual vanity, and garden tub. It also has easy access to the outside so you can enjoy a beautiful Florida evening. This house also has a large family room with vaulted ceilings throughout. There's a relaxing screened patio and the kitchen is a focal point in the home that features a quaint breakfast area. Conveniently located close to Poinciana Parkway minutes from Reunion, Champions Gate, I4, and easy access to the Walt Disney World Resort. Come see for yourself. This home won't last long! Just six miles from all the excitement and adventure of Walt Disney World, is a five star lakeside, top story corner, magnificent one bedroom condo. See all of the newest features and amenities waiting for you NOW in a NARRATED MOVIE TOUR, by typing "15311 LEGACY DUNES" in the YouTube or Google search bar. 15311 is located at Legacy Dunes, a quiet property with beautiful ponds and wonderful tropical landscape at every turn. It offers a feeling of privacy as a residential home or vacation resort, complimented by "amenities for all" in a secure, gated environment. The impressive and detailed BRAND NEW ITEMS shown in the movie include Aged Amber Real Bamboo Flooring from Cali Bamboo of San Diego California. Walls, ceilings, and trim painted with Sherman Williams Harmony paint. Brand New GE Refrigerator, GE Microwave, GE Electric Stove, Maytag Dryer, Maytag Washer, Air Conditioner and outside Condenser units, Levolor Rolling Solar Shades, American Standard Esteem Vormax Toilet, Schlage doorknobs and locks, DC Remote Control Ceiling Fans, Decora Light Switches and Duplex Outlets, Hand-crafted Kitchen Island counter-top and bathroom counter-top, ClosetMaid Kitchen Pantry Shelves, ClosetMaid Shelf Track Adjustable Laundry Shelves with Closet Rod, ClosetMaid Shelf Track Adjustable Bedroom Closet Shelves with storage space, closet rods, and shoe racks, and contemporary lighting. Take YOUR tour NOW at the NARRATED MOVIE TOUR , by typing "15311 LEGACY DUNES" in the YouTube or Google search bar. See you there! Professional Photos & virtual tour coming soon. This large executive 4 bed, 3 bath home is situated in the popular sub-division of Calabria, Kissimmee. This spacious home with 3 way split bedrooms & open plan living provide for all the comforts of an executive home. The kitchen has all the cabinets for a fully stocked home, with a breakfast bar and open to a dinette area and living room. A further space can be used as a formal dining room or reading room with french doors out to the covered patio and pool area. The pool and extended deck back onto an area of conservation providing a quiet peaceful private area. The home's interior has just been painted, and the living room has had new luxury vinyl plank installed. The A/C was newly installed March 29th. Within easy reach of the 192, with all shops, restaurants and amenities close by and just a short distance from the main commuter routes. Theme parks are within 15 minutes from here. The HOA dues include grown maintenance, cable TV and internet. The CDD fee is included in the tax payment. BEAUTIFUL HOME with 5200sf, PRIVATE DOCK & BOAT SLIP (shared with neighbor) ON EAST LAKE TOHO. 2 MASTER BEDROOMS (1 on each floor), CROWN MOLDING THROUGHOUT, MARBLE FLOORS, GRANITE COUNTERS, SS APPLIANCES, ROCK WATER POOL with SLIDE & LARGE PAVERED PATIO, LARGE 2nd FLOOR BALCONY, JETTED TUB, OPEN GLASS SHOWER, DOUBLE SINKS, HIGH CEILINGS & HALF CIRCLE DRIVEWAY with PAVERS. TOO MANY DETAILS TO LIST. MUST SEE HOME!!! A great starter home!! Clean, Tile and Granite tops throughout!! Fully Furnished Single family attached one level Townhouse at Coopersmith. 2 bedroom 2 bath, unit has covered entry and rear fenced private patio area. Inside Laundry room, Washer & Dryer Included. Beautifully maintained common areas with landscaping, tennis courts, clubhouse and playground. Just about a mile to Town Center Walmart and convenience shopping. Good opportunity to own a fully furnished second floor unit in the beautiful Windsor Palms Resort community. This immaculate condo has a spacious floor plan with a living /dining room combo opening to a screened patio overlooking a beautiful green space. The split bedroom plan has a large master bedroom, walk-in closet and master bath on one side with a huge second bedroom and generous sized bedroom 3 which share a full bath on the other. Upgraded with high end laminate floor to the live room and all three bedrooms . This is a beautifully fully furnished condo, which includes everything you need for a vacation rental property. The Windsor Palms community has a 24-hour manned gate and offers an abundance of resort amenities including a pool, hot tub, splash area, fitness center, clubhouse with arcade and 58 seat movie theater, basketball, tennis, playground, bicycle rentals, Tiki bar and more.. Located just minutes from Disney and area theme parks, restaurants, shopping, supermarkets and golf. Built in 2017, this Kissimmee one-story home offers stainless steel appliances, granite countertops, a covered patio, and a three-car garage. Home comes with a 30-day buyback guarantee. Terms and conditions apply.